Scorching hot summer weather calls for a cold glass of tea or lemonade. 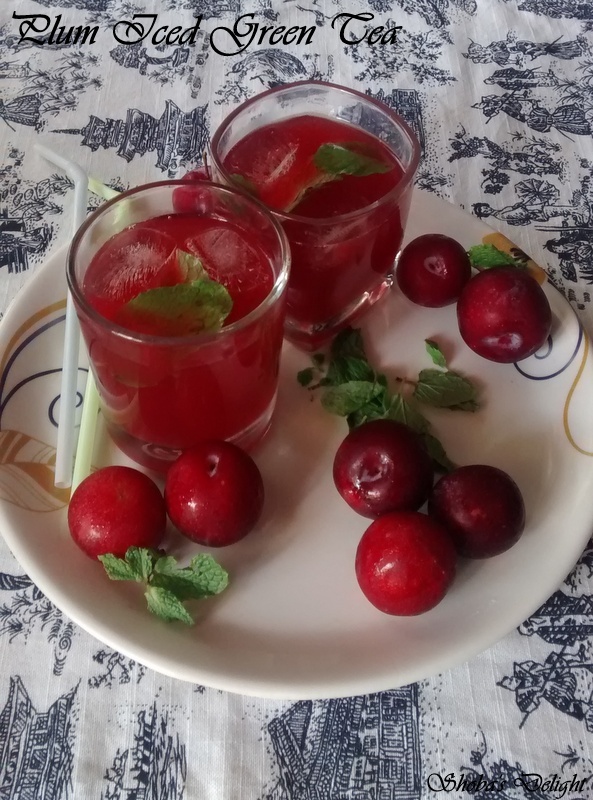 This plum iced green tea is superb for the summer months, plus it’s simple and gives a nice twist to your typical iced teas. Drop the chopped plums into the same teapot, and then just wait for the tea to cool enough to be placed in the fridge. I kept this iced tea more on the tart side as I really like it that way, but feel free to add more sugar (or a liquid sweetener if you prefer) if you’d like a sweeter tea. The green tea with the mint and plum was so refreshing.Find more interesting recipes regarding Beverages here. 1. In a large saucepan, bring 2 cups water to a boil. Remove from heat, add the tea bags, and let steep for 10 minutes. Discard the bags and allow the tea to cool to room temperature. Add the lemon zest and mint leaves and leave to sit for 5 minutes. 2. On stove top in a medium pan, add in the plum fruit, honey and water. Bring to a boil then turn heat down to low leaving it to simmer for 10 minutes. Remove fruit from heat and Pour the cooled plum mixture through a fine sieve to separate juices from pulp and skins. 3. Add the juice from the lemons and plums.Leave to chill in the fridge for an hour and then serve with sliced lemon and mint leaves. Ice cubes, lemon wedge, and fresh plum slices. 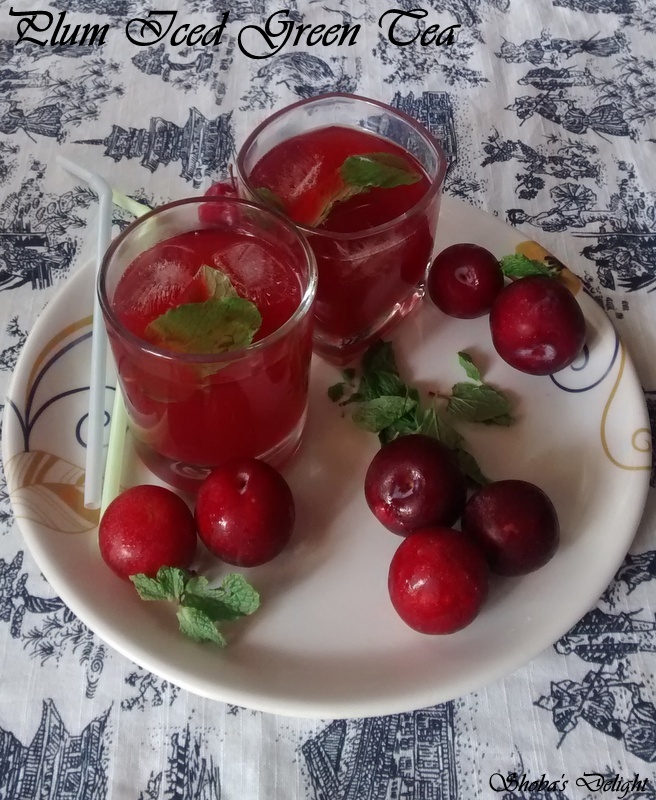 Technorati Tags: Green Tea recipes,Tea recipes,Iced tea recipes,Plum recipes,Plum Ice tea recipes,Plum Iced green tea recipes,Beverages,Cooler recipes.,Summer recipes,International and global cuisine,Drink recipes. Nice innovative green tea with plum !! !